If Facebook’s share price continues to plummet, it’s going to have a lot tougher time signing and retaining the top talent who can answer its big questions. It needs more revenue, or at least clear ways of generating it to persuade investors. But payments aren’t growing anymore, and its current ads aren’t enough. It can’t wait to set the money-making wheels in motion. It needs decisive action, immediately. Here’s my breakdown of exactly what Facebook needs to do next if it wants to start clawing its way from $20 back to its $38 IPO price. Why is this a crisis? Last week’s earnings report showed that Facebook’s current business model isn’t built to last. That’s not to say it’s doing poorly now, and as a private company things would have looked alright. But as a public company reporting all its stats, there’s the perception it’s not succeeding, and that can actually hurt it. People are rapidly shifting to using the site from mobile alone, or at least spending a lot more of their time on mobile than desktop where it shows more ads. Facebook is only making $183 million a year on mobile ads right now. That doesn’t cut it. Meanwhile, with Zynga stumbling and gamers moving to iOS or Android where Facebook can’t take a cut of virtual good or content sales, its payments business is plateauing. And more generally, businesses view Facebook as a source of demand generation through brand advertising that could eventually lift their sales. They aren’t as sure it’s a way to instantly earn money through demand fulfillment like with Google Search ads. These factors are scaring away investors and sinking its share price. That lowers employee morale, makes them too focused on the balance sheet to chase big ideas, and reduces their financial incentive to stay because their stock or options aren’t valuable. This all makes top engineers, designers, product visionaries, and biz wizards more likely to join a competitor or startup, or less likely to sell their company to Facebook or let it acq-hire them. Some Facebook employees are already leaving, though many likely planned to before Facebook actually IPO’d. Still, we’ve heard Facebook doesn’t offer employees big enough follow-on stock grants after their four years of vesting. That combined with poor share price performance puts them at risk of brain drain. Facebook is at a new crossroads. When it was preparing to IPO, it was time to start thinking about better monetization. Now as it plunges towards half its IPO value, it’s entering a state of emergency. Billions of dollars can’t be made overnight, but if it can accomplish some of the things I lay out below, it could at least foreshadow a future worth investing in. Facebook is bringing in $1 million in Sponsored Stories sales a day, half on the web, half on mobile. However, the social ad unit isn’t rolled out on mobile for the whole world yet, and you only see the occasional Sponsored Story in your news feed. I’m seeing about one Sponsored Story for every 100 to 150 stories in my news feed. It needs to do this cautiously, it needs to watch the feedback and click through rates, but Facebook needs to steadily increase how frequently Sponsored Stories appear by at least 3x. It has successfully designed an ad unit that’s both unobtrusive and sometimes helpful enough to click, showing me interactions my friends have with brands — stories that could appear organically but that businesses pay to have appear more often or more prominently. 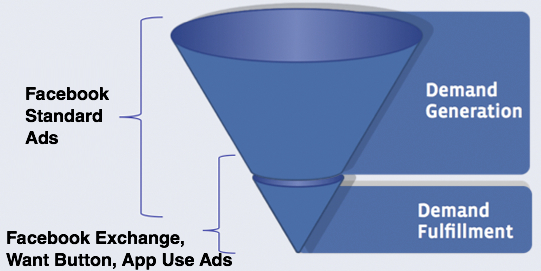 Facebook may have cracked the code with Sponsored Stories, but now it needs to push that code. Maybe Facebook would prefer to wait a few more years to let users get comfortable with ad network, one that allows other sites to target ads they host based on Facebook’s incredible stockpile of user data. It doesn’t have those years, though. It’s already piloting the program on Zynga.com, and it looks good. Now it should get cracking with the roll out to trusted sites and then any site that meets some basic criteria. Facebook needs to get the long-rumored Want button plugin out the door. Embedded on ecommerce sites, it would let users state that they want to buy something, allowing Facebook to target them with ads for similar products. The Want button could help Facebook drill down the funnel and become the last click before purchase. Since Facebook is integrated into so many apps as an identity and sharing system, it knows a lot about which apps you use. The Wall Street Journal reports Facebook is planning to apply this data to target people with ads for apps similar to the ones they already use. It should strive to convince app developers that not only do these ads deliver new users, but that they can then employ the installs to generate Sponsored Stories convincing a downloader’s friends to also buy. Facebook is now serving its first retargeted ads based on cookies that show what other websites a user has recently visited. They’ll be very powerful for big ticket ecommerce, like travel, gadgets, and cars. It needs to get reports out the door proving they work, bring more demand side platforms into the program, and start pulling in solid cost per clicks. Along with retargeting, Facebook Exchange includes a real-time bidding platform that lets brands instantly say how much they’re willing to pay to reach a certain user who is marked with a certain cookie. It needs to repurpose this real-time bidding platform to a different type of targeting: what people are currently talking about in status updates and wall posts. These could work better than the new Sponsored Results ads in the typeahead. 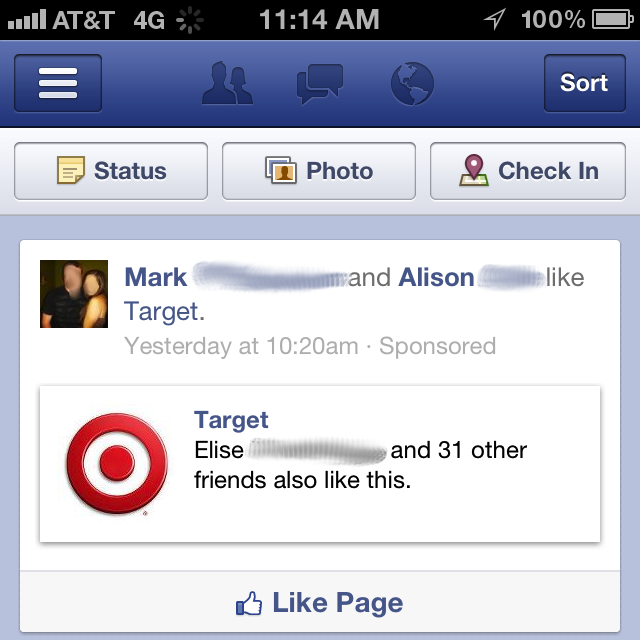 Facebook tested “Related Ads” a year ago. If brought back, when a user posts something like “I want to buy a new camera” or “Anyone want to grab dinner?”, it could query advertisers and let them bid on serving ads for camera shops or restaurants. Gmail already does this based on your email content, though Facebook might avoid some creepiness by keeping related ad targeting based on content shared publicly or with friends, and skip targeting by what you’re saying in private messages. Even if Facebook could convince services like Netflix, Hulu, and Spotify to give it a 10% cut of the subscriptions it delivers, the total Facebook could earn wouldn’t be huge. And it if moved into processing payments for physical goods, where would people be buying them from? Amazon, Etsy, or other ecommerce hubs that would be reluctant to give Facebook a slice. That’s why all these other revenue streams considered, one of Facebook’s brightest hopes for monetization may actually be disrupting the social gifting business with Karma, a startup it acquired the day of its IPO. The idea is that Facebook already reminds you about the birthdays of friends. If it stuck a “buy them a cool, cheap gift or gift card” link beside the prompt to send them a birthday wall post, it could drive an incredible amount of sales. With just one 30% taxed $10 sale per each of the 432 million American, Canadian, and European users, it could earn an extra $1.3 billion a year and boost revenue per each of these users by 30%. What analysts and investors wanted on its earnings call was not for it to meet projections. They wanted clear signals that it would blow projections away in quarters to come. Instead they got vague messaging about mobile being a priority, the cautious ramp up of Sponsored Stories, and no real mention of innovative social commerce. Facebook needs to start checking things off this list and show the public market a solid foundation for the next few years. And really, that shouldn’t be too painful. I don’t think any of these money-makers would seriously jeopardize the Facebook experience, meaning it could live on to squeeze its users and enact its mission to connect the world for years to come.